Background: Inflammatory bowel disease (IBD) which includes ulcerative colitis and Crohn’s disease can also affect other organs in the body including heart as extra-intestinal manifestation. Mesalazine is commonly used to treat this chronic inflammatory disorder and is usually well tolerated by most patients. However, there are certain situations where toxic effects of mesalazine involve heart, making it difficult to differentiate between extra-intestinal manifestation and a treatment related complication. Aims/Objective: Main objective of this review was to determine features that can help early recognition of mesalazine-induced cardiac involvement. Moreover, relationship between mesalazine dose and occurrence of cardiotoxicity was also observed. Finally, management of this condition including role of re-challenge in these patients was evaluated. Methods: A literature search for relevant studies of the MEDLINE database was conducted, including reported cases of mesalazine-induced cardiac involvement since 1989. Findings: Mesalazine-induced myopericarditis usually occurs within 2–4 weeks of initial drug exposure but may be delayed due to concomitant steroid use. There does not appear to be a dose-dependent relationship. A clear improvement following discontinuation of the drug helps to make the diagnosis. Mesalazine discontinuation and steroids are successfully used for treatment. Re-challenge usually results in recurrence of cardiac involvement. Cardiac dysfunction resolves completely with a return to previous baseline function. Thiopurines and anti-TNF therapies are used to manage inflammatory bowel disease. Conclusions: It is very important to evaluate any patient presenting with fever, shortness of breath or chest pain within 4 weeks of initiating mesalazine for possible drug-induced inflammation. Mesalazine should be stopped immediately and patient should be treated with steroids. Inflammatory bowel disease should be managed with second line drugs including thiopurines and anti-TNF therapies. Inflammatory bowel disease (IBD) which includes ulcerative colitis (UC) and Crohn’s disease (CD) is a chronic inflammatory disorder, characterized by repetitive cycles of active and quiescent disease. Ulcerative colitis is limited to the colon whereas Crohn’s disease can affect any part of the gastrointestinal tract. Ulcerative colitis usually presents with bloody diarrhoea and rectal bleeding along with urgency and tenesmus whereas features of Crohn’s disease are more heterogeneous but commonly include chronic diarrhoea, abdominal pain and weight loss. Both ulcerative colitis and Crohn’s colitis can involve other organs as extra-intestinal manifestation including heart [1,2]. Mesalazine or 5-aminosalicylic acid (5-ASA) is one of the aminosalicylates and is widely used in the management of ulcerative colitis, both for active disease as well as maintenance of remission [3,4]. Maintenance therapy with aminosalicylates reduces the risk of colorectal cancer by up to 75% . However, cardiac involvement may be a manifestation of mesalazine related toxicity rather than extra-intestinal manifestation and sometimes it is difficult to differentiate between the two. Anti-inflammatory action of mesalazine in inflammatory bowel disease is through to be the result of its action on damaged epithelial cells in the gastrointestinal tract . This action involves a variety of mechanisms including inhibition of pro-inflammatory cytokines (interleukin-1, 2 and 8 and tumour necrosis factor-α), increased expression of peroxisome proliferator-activated receptors as well as inhibition of cyclooxygenase (COX) [7-9]. Both oral and topical preparations of mesalazine are used in inflammatory bowel disease and usual dose of oral form is 2.4-4.8 gram daily [10,11]. A combination of oral and topical preparations appears to be more effective due to increased concentrations of the drug in the colon . Mesalazine is usually well tolerated by most patients due to its favourable safety profile; however, up to 15% of patients can have some form of intolerance. This can manifest as diarrhoea (3%) which may resemble colitis flare-up, headache (2%), nausea (2%) and rash (1%). Rarely, nephrotoxicity (interstitial nephritis), cardiac involvement including pericarditis & myocarditis (0.3%), fibrosing alveolitis, pancreatitis, blood disorders and lupus erythematosus-like syndrome can present as drug related complications [13-15]. The exact mechanism by which mesalazine might prompt myocardial inflammation is not clearly identified but hypersensitivity seems to be the likely underlying phenomenon. Hypersensitivity reaction is probably a result of accelerated metabolism of arachidonic acid to leukotrienes due to cyclooxygenase-1 enzyme inhibition. Leukotrienes in turn result in overproduction of eosinophil stimulating cytokines which cause a hypersensitivity reaction resulting in myocarditis [16,17]. Hypersensitivity due to humoral-mediated response has also been suggested resulting in the formation of antibodies against mesalazine, with cross-reactivity to myocardium or pericardium . Hypersensitivity is further evidenced by eosinophilic infiltration of the myocardium on myocardial biopsy along with a clear improvement following discontinuation of the drug [19,20]. Hypersensitivity appears to be an idiosyncratic reaction rather than dose dependant phenomenon due to its occurrence in patients on very low doses of mesalazine such as 0.5 gram a day [21,22]. Mesalazine-induced cardiotoxicity is a rare but potentially serious complication. First reported in 1989, with the first death was reported in 1990 [23,24]. Cardiac events associated with mesalazine-induced toxicity include cardiomyopathy, myocardial infarction, conduction defects and ventricular dysfunction with a reported frequency of 0% - 0.3% [25,26]. Cardiogenic shock due to mesalazine related cardiomyopathy has also been reported . So far, over 100 cases of myocarditis and pericarditis have been reported in the literature . Myocarditis has been reported more in ulcerative colitis than Crohn’s disease . Most of the cases have been reported following systemic administration of mesalazine; however, topical preparations have also been responsible for cardiotoxicity in some cases . Onset is usually within days to a few weeks after the initial exposure to the drug but may be delayed in patients on steroids [31,32]. This is in contrast to inflammatory bowel disease where cardiotoxicity usually occurs years after initial diagnosis, although it can occur at initial presentation as well [33,34]. Patients usually present with chest pain, fever and shortness of breath. On examination, pericardial rub is the usual finding in these patients [35,36]. Eosinophilia is sometimes seen on differential analysis of white cell count but not a constant finding [37,38]. Drug lymphocyte stimulation tests (DLSTs) for mesalazine has been reported to be positive in some cases . Blood tests often show raised cardiac enzymes whereas electrocardiogram (ECG) usually reveals T wave changes [40,41]. Myocardial biopsy is the gold standard which usually shows eosinophilic infiltration of the inflamed myocardium but rarely performed due to safety reasons and availability of noninvasive imaging techniques such as echocardiography and Cardiac MRI, which offer an alternative with a good diagnostic yield [42,43]. There are no signs, symptoms or investigations that are pathognomonic of mesalazine-induced cardiotoxicity. Clinically, diagnosis is supported by two facts: it usually occurs within 2–4 weeks after initial exposure to the drug; and there is clear improvement following discontinuation of the drug. Treatment of mesalazine-induced cardiotoxicity consists of mesalazine discontinuation, use of analgesics and steroids. Discontinuation of the mesalazine is the mainstay of treatment and usually results in resolution of symptoms within days [33,35]. Steroids are commonly used to expedite the resolution of cardiotoxicity [44,45]. Non-steroidal anti-inflammatory drugs (NSAIDs) and colchicine are used for symptomatic control. However, these drugs should be used in low doses due to concerns regarding increased mortality related to their use . NSAIDs may also exacerbate underlying inflammatory bowel disease in some patients so caution is advised regarding their use . Treatment options for underlying inflammatory bowel disease then include thiopurines (azathioprine or 6-Mercaptopurine) and cytokine modulators (anti-TNF therapies) [48-51]. Advantages and disadvantages of thiopurines and anti-TNFs are shown in Table 1 . Table 1: Thiopurines and anti-TNFs. Re-challenge with mesalazine or a different aminosalicylate (balsalazide or sulfasalazine) has been considered in some case reports but tolerated by a few patients only and in most cases there was a recurrence of cardiotoxicity. Table 2 summarizes previously published cases of mesalazine-related cardiac toxicity in patients with inflammatory bowel disease, where a re-challenge was considered. Mesalazine was re-introduced in four cases, with the same dose in three cases and reduced dose in one case but there was recurrence of symptoms in almost all cases. In one case, balsalazide was tried but there was a recurrence of symptoms. Sulfasalazine was introduced in one case and there was no recurrence of symptoms. Table 2: Re-challenge in patients with mesalazine-related cardiac toxicity. If managed appropriately, cardiac dysfunction has been shown to resolve completely with a return to previous baseline function [33,39,53-58]. 1. Cardiac involvement in patients with inflammatory bowel disease may represent an extra-intestinal manifestation or could be related to treatment with mesalazine. 2. Mesalazine-induced myopericarditis usually occurs within days to a few weeks of initial drug exposure but may be delayed due to concomitant steroid use. 3. A clear improvement following discontinuation of the drug helps to make the diagnosis. 4. Mesalazine-induced myopericarditis is successfully treated with drug discontinuation and steroids. 5. Re-challenge usually results in recurrence of cardiac involvement. 6. Cardiac dysfunction has been shown to resolve completely with a return to previous baseline function. 7. Inflammatory bowel disease can be managed with thiopurines and if not tolerated with anti-TNF therapies. Singh S, Singh H, Loftus EV, Pardi DS (2014) Risk of cerebrovascular accidents and ischemic heart disease in patients with inflammatory bowel disease: a systematic review and meta-analysis. Clin Gastroenterol Hepatol 12: 382-393. Fumery M, Xiaocang C, Dauchet L, Rousseau CG, Biroulet LP, et al. (2014) Thromboembolic events and cardiovascular mortality in inflammatory bowel diseases: a meta-analysis of observational studies. J Crohns Colitis 8: 469-479. Bergman R, Parkes M (2006) Systematic review: the use of mesalazine in inflammatory bowel disease. Aliment Pharmacol Ther 23: 841-855. Mowat C, Cole A, Windsor A, Ahmad T, Arnott I, et al. (2011) Guidelines for the management of inflammatory bowel disease in adults. Gut 60: 571-607. Eaden J, Abrams K, Ekbom A, Jackson E, Mayberry J, et al. (2000) Colorectal cancer prevention in ulcerative colitis: a case-control study. Aliment Pharmacol Ther 14: 145-153. Ham M, Moss AC (2012) Mesalamine in the treatment and maintenance of remission of ulcerative colitis. Expert Rev Clin Pharmacol 5: 113-123. Iacucci M, de Silva S, Ghosh S (2010) Mesalazine in inflammatory bowel disease: a trendy topic once again? Can J Gastroenterol 24: 127-133. Rousseaux C, Lefebvre B, Dubuquoy L, Lefebvre P, Romano O, et al. (2005) Intestinal anti-inflammatory effect of 5-aminosalicylic acid is dependent on perixome proliferator- activated receptor-gamma. J Exp Med 201: 1205-1215. Heath JL, Heath RD, Tamboli C, Johnson L, Wilson AS, et al. (2017) Mesalamine desensitization in a patient with treatment refractory ulcerative colitis and aspirin and non-steroidal anti-inflammatory drug hypersensitivity. Ann Allergy Asthma Immunol 118: 518-520. Kamm MA, Sandborn WJ, Gassull M, Schreiber S, Jackowski L, et al. (2007) Once-daily, high-concentration MMX mesalamine in active ulcerative colitis. Gastroenterology 132: 66-75. Hanauer SB, Sandborn WJ, Kornbluth A, Katz S, Safdi M, et al. (2005) Delayed-release oral mesalamine at 4.8 g/day (800 mg tablet) for the treatment of moderately active ulcerative colitis: the ASCEND II trial. Am J Gastroenterol 100: 2478-2485. Marteau P, Probert CS, Lindgren S, Gassul M, Tan TG, et al. (2005) Combined oral and enema treatment with Pentasa (mesalazine) is superior to oral therapy alone in patients with extensive mild/moderate active ulcerative colitis: a randomised, double blind, placebo controlled study. Gut 54: 960-965. Loftus EV Jr, Kane SV, Bjorkman D (2004) Short-term adverse effects of 5-aminosalicylic acid agents in the treatment of ulcerative colitis; Systematic review. Aliment Pharmacol Ther 19: 179-189. Ransford RA, Langman MJ (2002) Sulphasalazine and mesalazine: serious adverse reactions re-evaluated on the basis of suspected adverse reaction reports to the Committee on Safety of Medicines. Gut 51: 536-539. Van Staa TP, Travis S, Leufkens HGM, Logan RF (2004) 5-aminosalicylic acids and the risk of renal disease: a large British epidemiologic study. Gastroenterology 126: 1733-1739. Kounis GN, Kouni SA, Chiladakis JA, Kounis NG (2009) Comment: mesalamine-associated hypersensitivity myocarditis in ulcerative colitis and the Kounis syndrome. Ann Pharmacother 43: 393-394. Merceron O, Bailly C, Khalil A, Pontnau F, Hammoudi N, et al. (2010) Mesalamine-induced myocarditis. Cardiol Res Pract 2010: 1-3. Kaiser GC, Milov DE, Erhart NA, Bailey DJ (1997) Massive pericardial effusion in a child following the administration of mesalamine. J Pediatr Gastroenterol Nutr 25: 435-438. Garcia-Moran S, Saez-Royuela F, Perez-Alvarez JC, Gento E, Tellez J, et al. (2006) Myopericarditis and mitral insufficiency associated with ulcerative colitis treated with mesalazine. Inflamm Bowel Dis 12: 334-335. Stelts S, Taylor MH, Nappi J, Van Bakel AB (2008) Mesalamine-associated hypersensitivity myocarditis in ulcerative colitis. Annals Pharmacother 42: 904-905. Vayre F, Vayre-Oundjian L, Monsuez JJ (1999) Pericarditis associated with longstanding mesalazine administration in a patient. Int J Cardiol 68: 243-245. Lin AG, Hine KR (1994) Drug points: Fever, vasculitic rash, arthritis, pericarditis, and pericardial effusion after mesalazine. BMJ 308: 113. Agnholt J, Sorensen HT, Rasmussen SN, Gotzsche CO, Halkier P, et al. (1989) Cardiac hypersensitivity to 5-aminosalicylic acid. Lancet 333: 1135. Kristensen KS, Hoegholm A, Bohr L, Friis S (1990) Fatal myocarditis associated with mesalazine. Lancet 335: 605. Zakko SF, Gordon GL, Murthy U, Sedghi S, Pruitt R, et al. (2016) Once-daily mesalamine granules for maintaining remission of ulcerative colitis: pooled analysis of efficacy, safety, and prognostic factors. Postgrad Med 128: 273-281. Sandborn WJ, Korzenik J, Lashner B, Leighton JA, Mahadevan U, et al. (2010) Once-daily dosing of delayed-release oral mesalamine (400-mg tablet) is as effective as twice-daily dosing for maintenance of remission of ulcerative colitis. Gastroenterology 138: 1286-1296. Fleming K, Ashcroft A, Alexakis C, Tzias D, Groves C, et al. (2015) Proposed case of mesalazine-induced cardiomyopathy in severe ulcerative colitis. World J Gastroenterol 21: 3376-3379. Rellecke P, Strauer BE (2006) Chronic Inflammatory bowel disease and cardiovascular complications. Med Klin (Munich) 1: 56-60. Katsanos KH, Tsianos EV (2002) The heart in inflammatory bowel disease. Ann Gastroenterol 15: 124-133. Bernal-Sprekelsen JC, de las Marinas MD, Salvador A, Landete FJ, Morera FJ, et al. (2010) Recurrent pericarditis in a patient with ulcerative proctitis due to mesalazine suppositories. Int J Colorectal Dis 25: 1143-1144. Waite RA, Malinowski JM (2002) Possible mesalamine-induced pericarditis: case report and literature review. Pharmacotherapy 22: 391-394. Moss AC, Peppercorn MA (2007) The risks and the benefits of mesalazine as a treatment for ulcerative colitis. Expert Opin Drug Saf 6: 99-107. Brown G (2016) 5-aminosalicylic acid-associated myocarditis and pericarditis: a narrative review. Canadian J Hospital Pharmacy 69: 466-472. Liu Y, Zhu J, Chen W, Sun Y, YE J, et al. (2012) Myocarditis due to Mesalamine treatment in a patient with Crohn’s disease in China. Turk J Gastroenterol 23: 304-306. Ferrusquia J, Martínez IP, Almira MLF, Riestra S, Rodrigo L, et al. (2015) Gastroenterology case report of mesalazine-induced cardiopulmonary hypersensitivity. World J Gastroenterol 21: 4069-4077. Honeybourne D (1994) Mesalazine toxicity. BMJ 308: 533-534. Sposato B, Allegri MP, Riccardi MP, Chigiotti S, Nencioni C, et al. 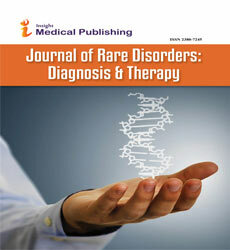 (2010) Mesalazine-induced multi-organ hypersensitivity. Clin Drug Investig 30: 413-417. Park EH, Kim BJ, Huh JK, Jeong EH, Lee SH, et al. (2012) Recurrent mesalazine-induced myopericarditis in a patient with ulcerative colitis. J Cardiovasc Ultrasound 20: 154-156. Kiyomatsu H, Kawai K, Tanaka T, Tanaka J, Kiyomatsu T, et al. (2015) Mesalazine-induced Pleuropericarditis in a Patient with Crohn’s Disease. Intern Med 54: 1605-1608. Hermida JS, Six I, Jarry G (2007) Drug-induced pericarditis mimicking Brugada syndrome. Europace 9: 66-68. Oxentenko AS, Loftus EV, Oh JK, Danielson GK, Mangan TF, et al. (2002) Constrictive pericarditis in chronic ulcerative colitis. J Clin Gastroenterol 34: 247-251. Biesbroek PS, Hirsch A, Zweerink A, Beek AM, Groenink M, et al. Additional diagnostic value of CMR to the European Society of Cardiology (ESC) position statement criteria in a large clinical population of patients with suspected myocarditis. Eur Heart J Cardiovasc Imaging 19: 1397-1407. Dominguez F, Kuhl U, Pieske B, Garcia-Parvia P, Tschope C, et al. (2016) Update on myocarditis and inflammatory cardiomyopathy: Reemergence of endomyocardial biopsy. Rev Esp Cardiol 69: 178-187. Freeman HJ, Salh B (2010) Recurrent myopericarditis with extensive ulcerative colitis. Can J Cardiol 26: 549-550. Abu-Hijleh M, Evans S, Aswad B (2010) Pleuropericarditis in a patient with inflammatory bowel disease: A case presentation and review of the literature. Lung 188: 505-510. Kindermann I, Barth C, Mahfoud F, Ukena C, Lenski M, et al. (2012) Update on myocarditis. J Am Coll Cardiol 59: 779-792. Takeuchi K, Smale S, Premchand P, Maiden L, Sherwood R, et al. (2006) Prevalence and mechanism of non-steroidal anti-inflammatory drug-induced clinical relapse in patients with inflammatory bowel disease. Clin Gastroenterol Hepatol4: 196-202. Prefontaine E, Macdonald JK, Sutherland LR (2010) Azathioprine or 6-mercaptopurine for induction of remission in Crohn’s disease. Cochrane Database Syst Rev 16: CD000545. Chande N, Patton PH, Tsoulis DJ, Thomas BS, MacDonald JK, et al. (2015) Azathioprine or 6-mercaptopurine for maintenance of remission in Crohn's disease. Cochrane Database Syst Rev CD000067. Triantafillidis JK, Cheracakis P, Mylonaki M, Georgopoulos F, Panteris V, et al. (2009) Myocarditis due to mesalamine treatment in a patient with ulcerative colitis: favourable outcome after infliximab treatment. Ann Gastroenterol 22: 624. Okoro KU, Roby MD, Bankole AA (2018) Myocarditis Secondary to Mesalamine-Induced Cardiotoxicity in a Patient with Ulcerative Colitis. Case Rep Med 2018: 1-3. Sonu I, Wong R, Rothenberg ME (2013) 5-ASA induced recurrent myopericarditis and cardiac tamponade in a patient with ulcerative Colitis. Dig Dis Sci58: 2148-2150. Sabatini T, Filippini A, Nicosia F, Preti S, Bertoli M, et al. (2013) Recurrence of myocarditis after mesalazine treatment for ulcerative colitis: a case report. Inflamm Bowel Dis 19: E46-E48. Ishikawa N, Imamura T, Nakajima K, Yamaga J, Yuchi H, et al. (2001) Acute pericarditis associated with 5-aminosalicylic acid (5-ASA) treatment for severe active ulcerative colitis. Intern Med40: 901-904. Radhakrishnan ST, Mohanaruban A, Hoque S (2018) Mesalazine-induced myocarditis: a case report. J Med Case Rep 12: 44. Asadi J, Bhandari SS, Ahmed N (2017) Mesalazine induced myopericarditis in a patient with ulcerative colitis. Echo Res Pract 5: K1-K5. Bernardo S, Fernandes SR, Araújo-Correia L (2016) Mesalamine-induced myopericarditis- A case report. Rev Esp Enferm Dig 108: 753-756.